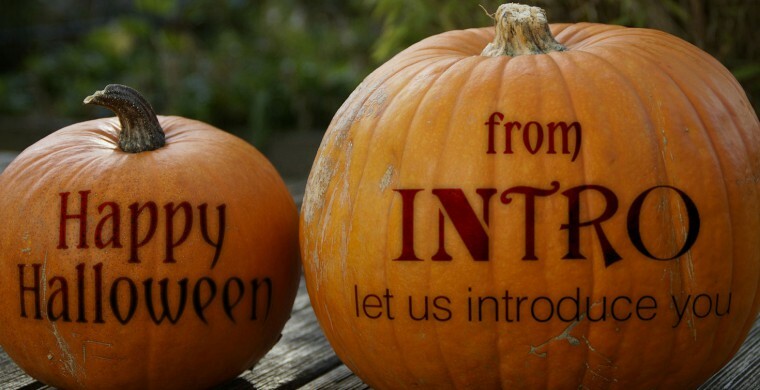 It’s one of Intro’s favourite times of year – it’s Halloween! This is your opportunity to dress up, enjoy candy guilt free, and hopefully connect with your perfect match! As professional Irish matchmakers, we strive for success in matching our clients in long lasting relationships. It all starts with a great first date! Here are some of our favourite date ideas for Halloween this year. One of our date ideas for Halloween actually takes place a bit before the scary festivities. A week or so prior to Halloween invites your significant other out for a day of fun. Grab a warm beverage from your local café and then drive to a farm in the area that sells pumpkins. The two of you can then enjoy wandering throughout the farmer’s pumpkin patch. Decide on some criteria for your pumpkin and take your time sipping on a coffee and inspecting various pumpkins. Once you finally locate the perfect pumpkin, bring it home, and carve yourselves a jack-o-lantern together. Fear gets your adrenaline pumping, which is great for a shared date experience. When seeking date ideas for Halloween, do a search online for a local haunted house extravaganza. Sometimes, you’ll find a place with multiple haunted houses; others will have a haunted house amongst an assortment of other activities. Definitely respect your partner’s fear level, but offer to be there to protect one another and scream with delight at the activity. Get scared at the haunted house, and then grab a drink after to reminisce about your favourite frightening experience! Halloween is awesome, as it gives everyone the freedom to dress up as they please. Plan to attend a Halloween party with your partner and turn it into a great date night! This one works best with some advanced planning, but if you must, you can throw together a costume last minute. When putting your costume together draw inspiration from your costumes in the past, your mutual favourite TV shows and movies, or just a completely random idea. It’s not about having the best costume; it’s about collaborating positively together on it. When accessing the services at Intro, you find excellent matchmakers that are extremely successful at what we do. We believe that some of the best date ideas are participatory, where both partners interact and engage. Halloween is a fantastic opportunity for doing just that without it feeling contrived and without you feeling silly! Be safe, have fun and bring the spirit of romance with you on your Halloween date.